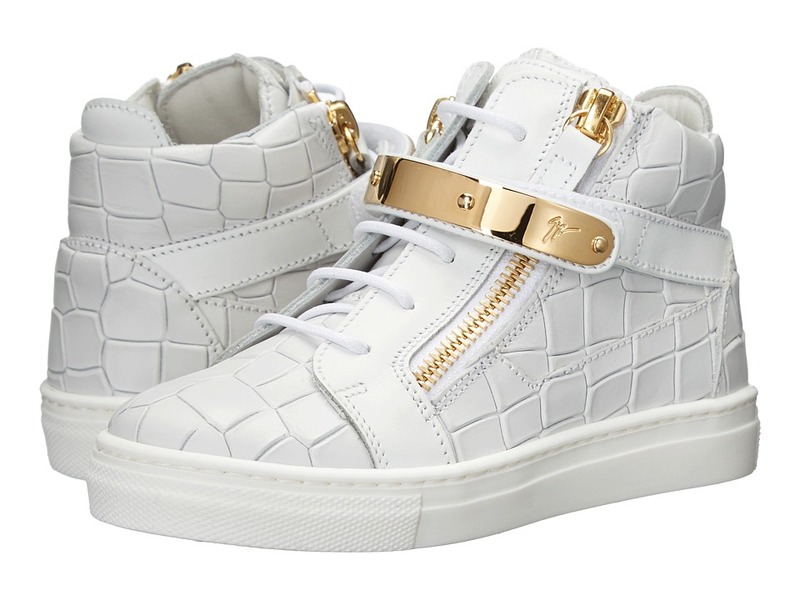 Inspire your little one and ignite their passion for supreme style with these Giuseppe Zanotti Kids Aftering Sneakers. Textured leather upper. Lace-up closure connected through unreinforced eyelets. Hook-and-loop strap in a golden sheen across the vamp engraved with iconic brand logo. Pull-on design. Round-toe silhouette. Leather lining. Lightly padded leather insole. Hidden wedge heel. Durable rubber outsole. Made in Italy. This item may ship with an attached security tag. Merchandise returned without the original security tag attached or a damaged tag may not qualify for a refund. Measurements: Weight: 8 oz Product measurements were taken using size 26 (US 9.5 Toddler), width M. Please note that measurements may vary by size. Weight of footwear is based on a single item, not a pair.